There’s this notion that gets thrown around that the gifted can see past the numbers. That things hidden to the average person pop out to the math genius. We are convinced that only the prodigies have the mathematical intuition to make sense out of numbers and symbols. Today I want to challenge this belief we’ve bought into. The belief that it takes some natural brilliance to see past the numbers. Perhaps many never see past the numbers because they are never shown? I remember learning how to “complete the square” as a teenager and I did what most students do, I memorized the steps. I was pretty good at memorization, so I got by. 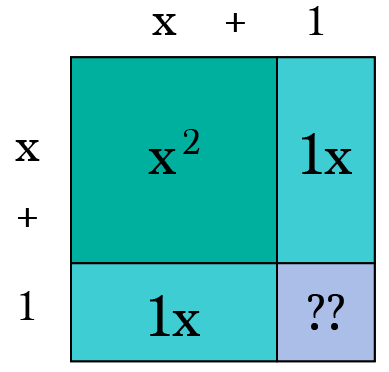 I understood that completing the square was a method for solving a quadratic, but it wasn’t until years later that I realized I hadn’t really understood what I was doing at all. I was just going through the motions. And that’s the way it often is, isn’t it? Our teacher scribbles a series of steps and formulas on the whiteboard and we do our best to replicate it. But is memorization and regurgitation really what math is about? Instead of developing understanding that we can carry with us for years, we memorize steps that we’ll forget next week. I believe there is always a better way of seeing math that will help you understand what the gibberish is all about. But first, pick your poison! Check out Math Hacks on YouTube for more video tutorials! I haven’t talked about quadratics much in this series, but I really wanted to cover this topic so I’m going to assume you know quadratics are algebraic equations where the term with the highest power is 2. Remember that when we graph a quadratic we get a parabola, or U-shaped graph (or an upside down U). Sometimes the U-shaped graph crosses the horizontal x-axis, and when it does we like to find the x-values where it crosses (and even when it doesn’t, we still like to solve for these guys, we just call them complex roots instead). These x-values have lots of names. Some people call them roots, others call them zeroes, and some simply call them solutions. Now there are lots of techniques for finding roots, and depending on the equation some methods are easier than others. We can solve by graphing, factoring, the quadratic formula or by completing the square. I could show you an example of how to complete the square by following these instructions, but honestly how much of these steps will you remember? Subtract the constant to the other side. Take half of the x terms coefficient, square it and add to both sides. Factor the trinomial into a binomial squared. Take the square root of both sides (including a plus or minus sign). Finish solving for X and simplify the answer, if needed. Our area model is fairly straightforward. 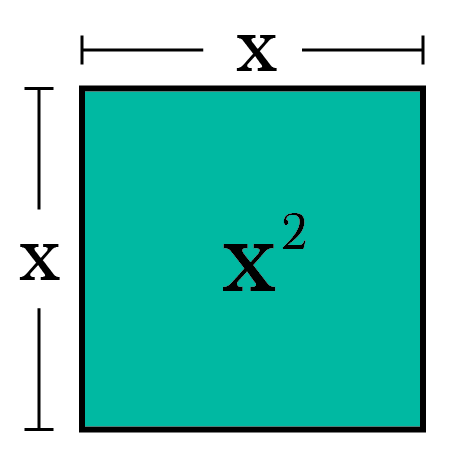 Begin by representing x² as a square whose sides are both x units in length making an area of x². Next we’ll add 2x to the area model. 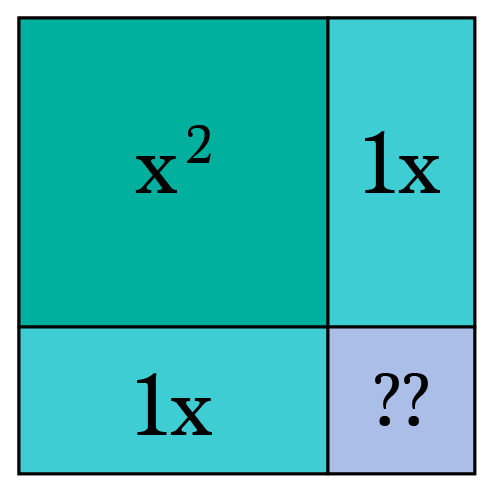 For 2x to represent an area we’ll need to either add a block that is 2 units by x units, or we can add two blocks each 1 unit by x units. Because we want to make a square, we’ll choose to add two 1-by-x blocks to our model. Now as you can see we are trying to make a square but there is a chunk missing in the bottom right corner. What is the area of this missing piece? Since the blue blocks adjacent to our missing piece are both 1 unit wide, we can deduce that the missing block has an area of 1•1=1. Now all that’s left to do is literally complete the square and adjust for the extra units. To do this first we can fill in the area of the purple square, which we know to be 1. Since our original equation had a constant of 12, we’ll subtract 1 from 12 to account for the 1 we add to the square. And like magic, we have completed the square! 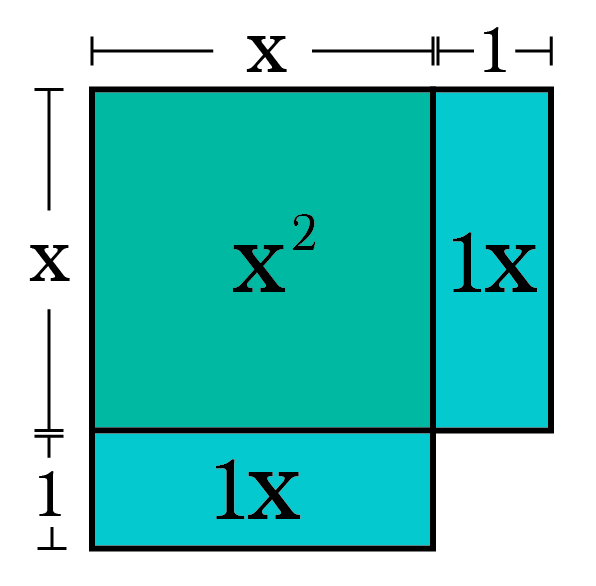 Our square is (x+1)² with 11 leftover. The extra 11 can simply be added to the end of our binomial squared. Now if we wanted to find the roots we can set the equation equal to zero and solve with basic algebra. I bet if you look back at the algebraic instructions for completing the square you’ll understand why you take half of the middle term’s coefficient and square it. You’ll see how that helps you factor a binomial squared out of the equation, and how the constants get adjusted along the way. Of course it isn’t efficient to draw an area model every time you complete the square. 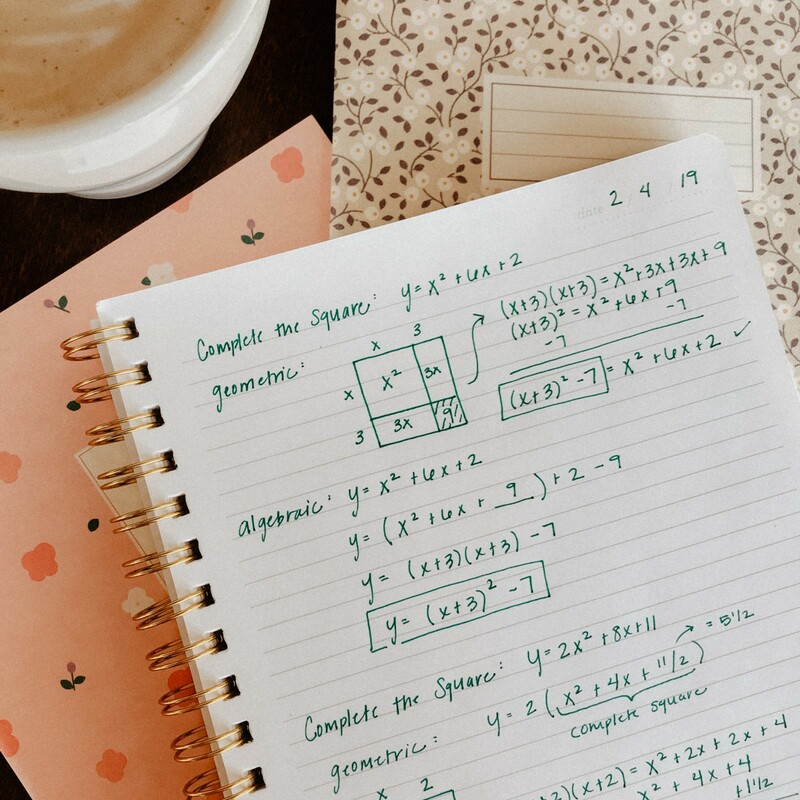 You’ll need to know how to do the process strictly using algebra, but if you ever forget the steps having a solid understanding of how completing the square works can help you derive the steps in a pinch. And look there, you just saw past the algebra in quest of the true meaning of completing the square! It wasn’t that bad, was it? Subscribe Now!! Math Hacks is on YouTube! Could You Pass New York’s Algebra I Exam?